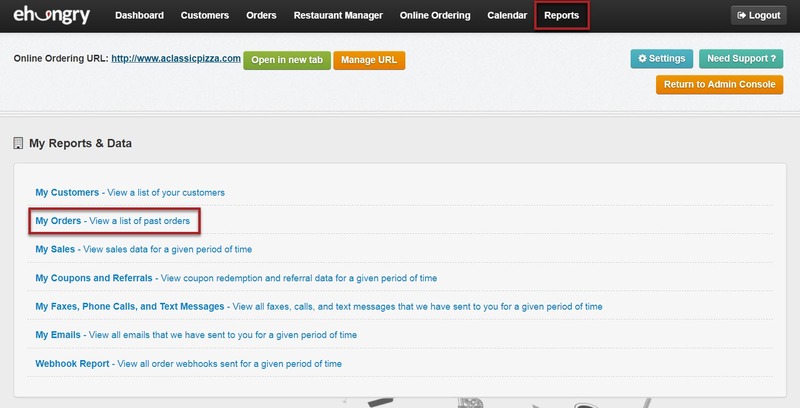 In your Online Ordering Console, you can Generate an Order Report by selecting "Reports" from the main menu, and then selecting "My Orders - View a list of past orders". Enter the date range you would like a report for. Click View This Report to generate. Here you will see your Order Report, including the order id, customer info, order date, location ordered from, the subtotal, fees, and total.